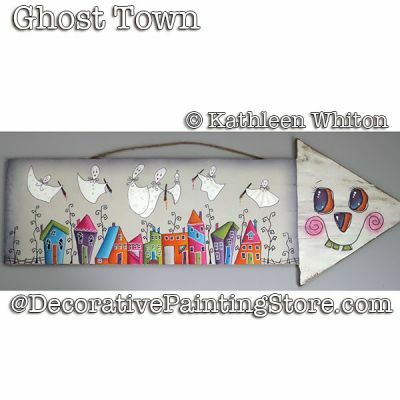 Arrow sign painted with halloween ghost town. Surface is 25.5"" x 6.5" or surface of your choice. Arrow sign available from Michaels Arts & Crafts.